Risk management is crucial for any business. Companies are often more vulnerable than they tend to admit. However, by using software designed to track the risks you’re facing, not only will you become aware of your own weaknesses, but you’ll learn to prevent issues before they start. Having effective risk management can also promote your business, and here are a few examples of how that works. Risk management involves taking detailed data of how your business’s operations work, as the supply chain is often what is left open to risk. In examining your operations, you often end up finding more effective ways of doing things and therefore making your business more efficient. Simply taking a close look at your operations, which is a big part of risk management, can improve your business. With software aimed specifically at-risk management, your threats are constantly being examined. These examinations occur in real time, catching issues as they happen and not when they’ve grown out of control. As a result, your business will end up making improvements constantly and hitting fewer snags. This will show to a third party, and your business will seem advanced and among the top experts. Other companies can tell when things are moving smoothly for your business, which will also increase your reputation. 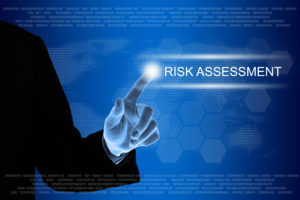 Using software aimed at catching potential risk can provide you with reports of those risks, giving you a detailed record of what has been going on. This record in and of itself can be extremely useful and can be something you can provide for other businesses. By showing your risks, how they came about, and how you dealt with them, you can serve as a sort of a case study for other companies. If you aren’t afraid to divulge some of this information (assuming it doesn’t give away a competitive advantage) it can actually boost your company. Risk management software can provide a number of benefits for the company, many of which exceed the obvious. Subscribe to our newsletter for updates on Exigis products and services.